Whether you spend the majority of your office hours at a coworking space, a corporate office, or working from home, when you need to get some serious work done, chances are, you’re at a desk. 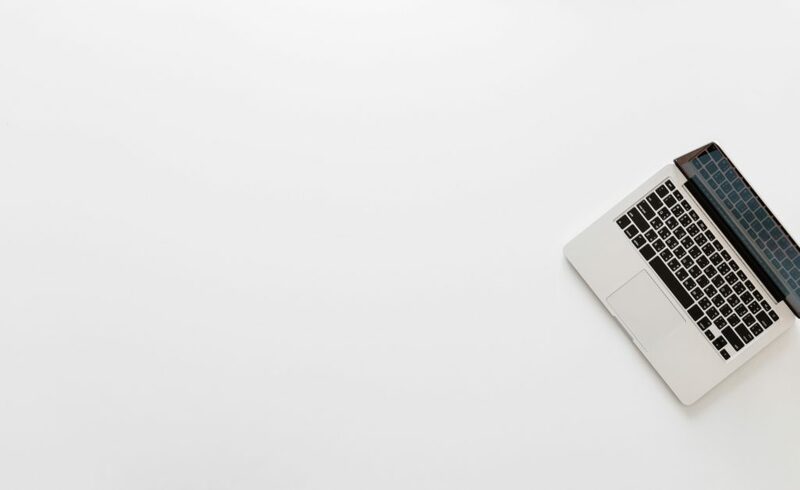 You’re in good company: according to the U.S. Bureau of Labor Statistics, full time employees spent an average of 8.44 hours per day at their workplace – that’s a whole lot of desk time. While you may not always be able to control your workday or stop a flood of new requests, you CAN boost your productivity overnight by leveraging the power of the ‘desk effect’, the potential impact that one’s desk layout and office environment can play on productivity, professional output, and even professional satisfaction. A desk that has been customized to your needs and preferences can increase your productivity at work, shaping your daily habits, comfort, and even boosting your happiness and professional satisfaction. One thing never seems to change – location matters, especially when it comes to increasing productivity. Time to do a location check – do you have the optimal desk location for your role type and space preferences? If you need quiet to get into a work groove, a desk right near the social office kitchen can interfere with your productivity. The more you love your workspace’s design, the more energized and inspired you will feel as you get to work each day. Take 10 minutes to dream up your ideal workspace’s look and feel. You may not be able to dream up every element of the perfect desk layout, so an easy way to begin is by first identifying how you want to feel at your desk. Focused? Calm? Creative? What colors are you seeing? Try to imagine the furniture, art, plants, lighting. What kind of aesthetic does it have? How do you feel walking around the space? What’s on the walls? Love spending your weekends in nature? A warm, natural elements style with colors like beige, brown, and muted blues and greens may help facilitate calm and clarity. Plants or fresh flowers are a must! Work best with minimal distractions? If you’re a fan of clean lines and the ‘less is more’ line of thinking, a clean lines, minimalist workspace can help keep you focused and centered. Stick to whites, grays, and splashes of color to keep your workspace clutter-free and zen-inducing. Do you have a creative role? Are you a visual learner, or do you thrive when you have physical materials and inspiration nearby? Think about an artistic-vibe workspace. Hang inspirational art, and think about getting a bulletin board so that inspiration is at your fingertips. Love city life and the hustle and bustle of making things happen? A modern, industrial style space can work well for you. Think metal, glass, and exposed cabinets and shelving. For the overachievers out there, you can also take a Pinterest browse to see if anything catches your eye and sharpens your aesthetic vision. At this stage, don’t think about budget or buying anything new – just try to identify the aesthetic style you’re aiming for. Head is facing forward – not angled down or overextended past shoulders. Top of the screen is at or below eye level. Forearms and thighs should be parallel to the floor. Your lower back is well supported, and your shoulders are relaxed (not up near your ears). For extra support, you can also purchase an ergonomic accessory, such as a laptop lift, wrist rest, or footrest. These items make an immediate, difference in structural support. Back pain be gone! Block off a few hours from your schedule to sort through any existing desk clutter. While decluttering consultant and bestselling author Marie Kondo often works with clients on their homes, she also transforms workspaces, and her KonMari Method™ is applicable to office environments. Begin decluttering your workspace by first sorting ALL items into categories, such as books, supplies, papers, and miscellaneous items. Then, examine each object, one by one, and ask yourself “Does this contribute to me feeling more positive and also does it contribute to my efficiency?” If you find yourself unsure about an item or hesitating, ask yourself whether this object aligns with the dream office you envisioned earlier. When you get to the paper category, sort through all of the papers, and take a few extra minutes to figure out which of papers you can digitize. Use a mobile scanner app like Scannable by Evernote, or the office scanner to scan your papers and then upload them to cloud, making them accessible anywhere, anytime. 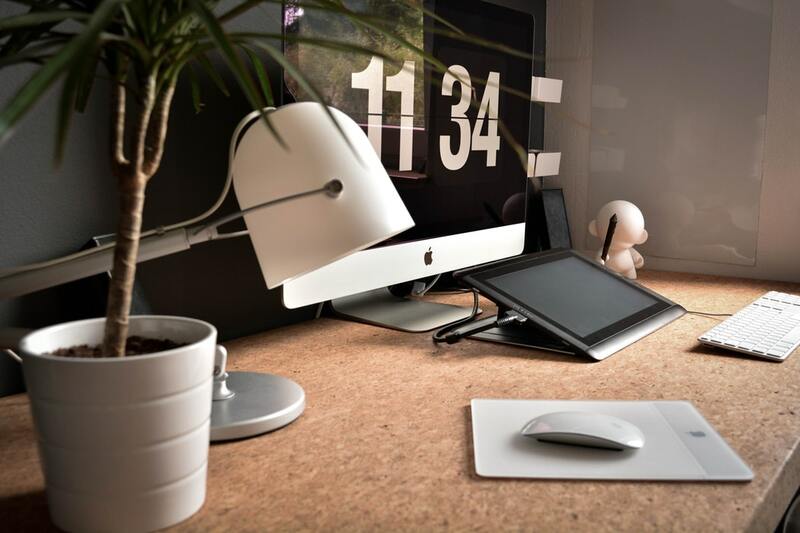 Now that you’ve decluttered, it’s time to rearrange your desk and make it good-habits friendly. For productivity and habits author James Clear, “Environment is the invisible hand that shapes human behavior.” Clear advises: “Whenever possible, design an environment that makes good decisions for you.” For example, if you know that your energy tends to drop mid-morning, stock up on some brain-boosting snacks like walnuts or pumpkin seeds rather than sugar-crash inducing candy bars. Put them in a clear jar on your desk so that good snacking becomes effortless. Oftentimes, an immediately implementable change in our physical environments can discourage a bad habit. Think through your most commonly occurring bad habits (hint: if you can’t think of one right now, you’ll probably notice one in the next 24 hours) and then identify a plan of attack to subtract or eliminate the negative influence, or incorporate a new action trigger. End up scrolling on your phone during work calls? Make sure you’re not auto logged in on social apps on your work computer. Always end up running around the office right before a meeting looking for a stapler? Get one for your desk. Feel underprepared at meetings? Block off 5-15 minutes before recurring meetings to ensure prep time. It’s easy to get sucked into the high volume of emails and constant incoming questions from your team and lose sight of bigger targets. A visual productivity tool can serve as a powerful reminder of your commitments and goals, and helps you stay focused on how to be productive at work. One of the easiest ways to make sure you are keeping yourself accountable on the daily and increasing productivity is to add a visual tool to your desk layout. Test out a whiteboard, post-it notes, calendar, or visual to-do list, and figure out which of these tools work best for you. One of the most commonly used visual tools is the to do list, but while to do lists work well for some people, they can also enable procrastination. What’s the problem? High impact, demanding or creative tasks end up holding the same weight as low impact, logistics-oriented tasks. If you really want to increase your productivity at work, try this technique from JotForm CEO Aytekin Tank: think “about the one thing you can accomplish today that would have the most impact. If you are having trouble thinking of something I’ll give you a hint — it’s usually the thing you least want to do.” Tank recommends starting off each morning by writing your one big impact goal on the post-it and sticking it on your laptop or computer. If you can get in the habit of conquering this goal early in the day, you can ride your productivity high for the rest of the day. Subtle changes in our environment can play a big role in shaping our focus levels. Get your brain at its peak productivity state with the right lighting, brain wave stimulating sounds, and fresh scents. Natural light enhances our focus and productivity. If you’re not getting natural light at your desk, make sure to venture outside during your breaks. Classical, electronic, and instrumental music can all help get you ‘in the zone.’ Check out Brain.fm’s cognitive state enhancing music. Bright, fresh scents help perk us up. Place a bottle of your favorite essential oil (lavender, eucalyptus, and citrus) on your desk and take a whiff whenever you need a burst of fresh energy. Always have dozens of internet tabs open at once? Get an app like Pocket to help you save interesting articles for later. Once you save a page to Pocket, the list of content is visible on any device. Inbox overflowing with thousands of emails? Spike’s conversational email inbox has an auto prioritization feature that sorts your main inbox according to people you’re most in contact with. Feel like you can never find a file when you need one? Desktop littered with files? Take a few hours to set up a simple file architecture on the cloud, so that all of your documents are available anytime. Fewer folders = less time wasted searching! Feeling unfocused and like you’re jumping from thing to thing without progress? Limit notifications to minimize digital interruptions and stay focused and on task. Spike’s customized notifications feature lets you easily select what type of notifications you want to get, when. Constantly zooming back and forth across collaboration and messaging tools? A platform like Spike can consolidate your go-to work tools – so that messaging, collaboration, work and personal email accounts, and all of your calendars are in one place. Now’s the time to add a few finishing touches. 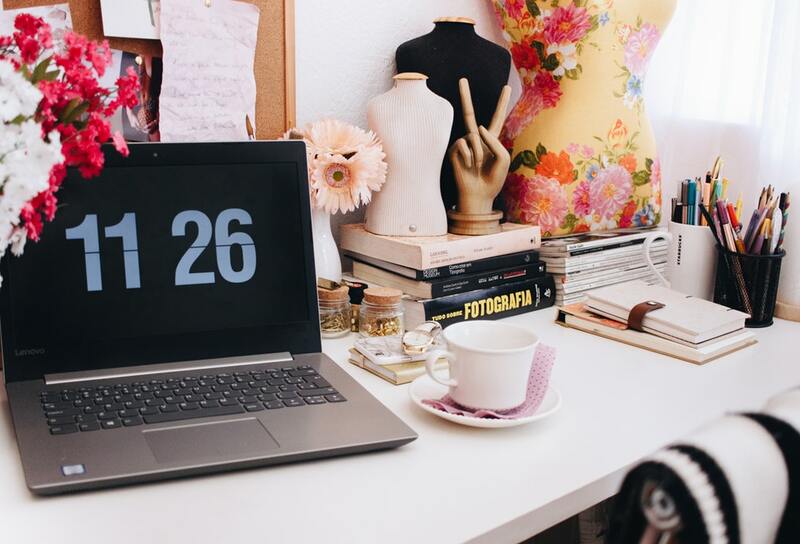 Think back to that ideal workspace aesthetic you envisioned earlier. Bring in key elements of color, art, and style to life to make the space feel more “you.” No need to spend big here – look around at home and see if there’s anything you want to bring to work, or move from the kitchen or living room to your home office. Get creative – a plant, a few books, an artistic postcard, and photos of loved ones can add a personal touch to your redesigned, productivity enhancing workspace.